If you are white, you don’t get to speak for people of color. If you are a man, you don’t get to speak for women. If you are straight, you don’t get to speak for those who love the same gender (or multiple genders). If you are cisgender, you don’t get to speak for trans* or non-binary people. If you are able-bodied, you don’t get to speak for people with disabilities. If you are neurotypical, you don’t get to speak for people who aren’t. 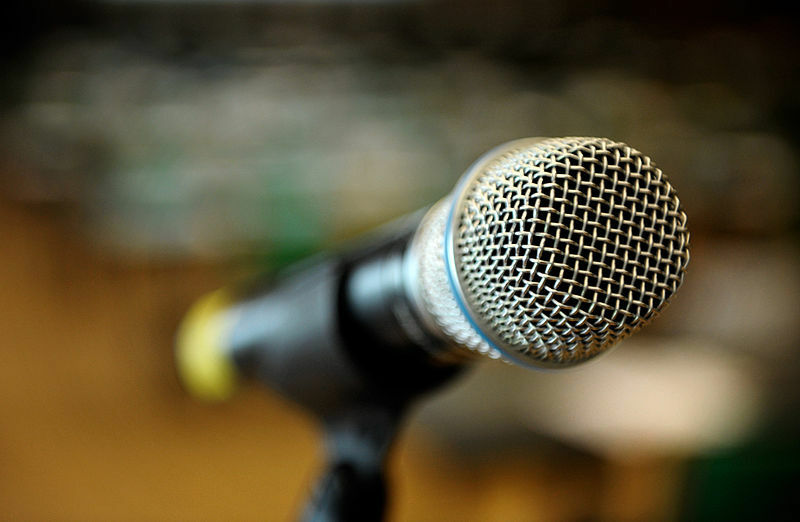 If your goal is justice, the first step toward justice is giving up the microphone. Yes, there is a plurality of microphones. Yes, you have the freedom to speak. But you need to be aware of HOW you are using your microphone. Are you speaking for us or with us? Are you listening? Or are you using our oppression as a pet cause for your good brand? The marginalized are the only ones who can speak to their own liberation. If your goal is truly justice, stop inserting yourself into the leadership position. Take a backseat. Listen to our stories; listen to our voices; listen to our hurt. The first shall be last and all that. Don’t pat us on the back and tell us how sorry you are and then do nothing. But don’t go off half-cocked and angry either. Listen to how we think the issue should be handled. Don’t try to correct our vision –we have a better handle on what liberation looks like than you do. This is justice work. And it’s hard. When you’ve had the microphone for so long, it’s very hard to give it up. But that is fundamentally what needs to happen. Step back. Stop talking. Stop fighting. Stop playing the Devil’s Advocate. Stop asking if there’s a better way. Listen, and let us take the reins. We know you just want to help. We know you have good intentions. But good intentions don’t make up for you outing your trans* friend in public. Good intentions don’t make up for you appropriating cultures in an attempt to be “honoring.” Good intentions don’t make up for you getting the spotlight, and the awards, and the cookies for being “brave” when you don’t share the fear of the marginalized. You want us to be unified as a Body? Then stop talking over us and start listening to us. We aren’t being “divisive” when we want more people who look and sound and talk like us to be represented on the greater stage. We aren’t sowing discord when we ask you for room at the table or when we decide, after years of trying, to go out in the woods and build our own table where our voices will be heard. “Discord” is the cry of the oppressor. “Don’t we all want unity?” is the question of the man who has never had his experience interrogated. “Divisiveness” is the banner of those who think it is wrong to call attention to injustice done by people with good intentions. And it silences those whose voices need to be heard the most. Come in close and cry as we cry. Allow our hurt, our pain, our continued, daily oppression to sink into your soul. It will never be a part of you like it is a part of us, but you cannot empathize if you do not listen. Our anger will make you uncomfortable. You will want to shout that you are “not like that,” but that is not what we need to hear – we don’t need to hear how our experience affects you. We need to you to simply listen and be with us. Hear us. Let us take the mic. Open up the floor to the angry ones, to those called “divisive,” to the ones who make you uncomfortable, to the ones whose stories don’t fit your boxes. It is the only way forward. It is the only way through. We are shouting, whispering, writing, talking.